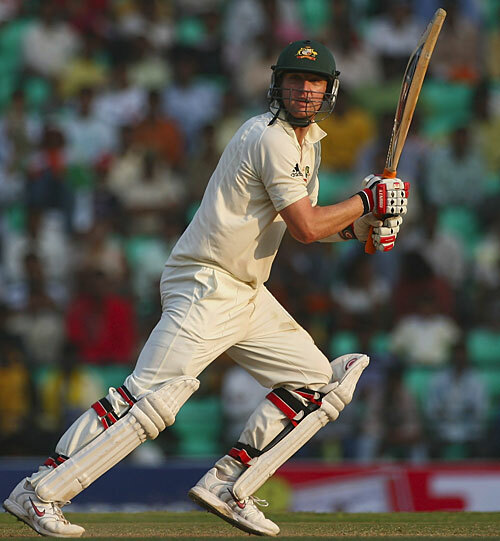 The third day of the Fourth Test between India and Australia was an old-fashioned grind. The hosts reached stumps with an 86-run first innings lead, despite dogged resistance from the likes of Cameron White lower down the Australian order. India’s defensive tactics have been criticised in the past, but the pressure that was exacted today seems to suggest that India won’t really care. This is, after all, Test cricket, not some newfangled Twenty20 shootout. Now the stage is set for India’s batsmen to make some runs before the pitch deteriorates. Australia’s hopes of saving the series could fade rapidly if India get settled in. Sri Lanka’s tour of England has fallen victim to a combination of the IPL and the political machinations of the BCCI. Does this signal a shift in priorities on the subcontinent? The death of Test cricket has been long heralded, and Twenty20 is certainly making the headlines at the moment with the Stanford Dash for Cash and talk of an ICL-IPL merger. Personally, I’d take the longer form of the game any day of the week, but it seems many in Sri Lanka (and of course India) disagree.